MMA is one of the fastest growing combat sports in the World. MMA is one of the fastest growing combat sports in the World driven by the Ultimate Fighting Championships (UFC) based in the USA. MMA gloves used by athletes in this discipline are very different from traditional boxing gloves. 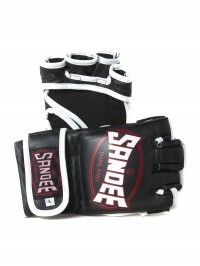 SANDEE offer 2 types of MMA gloves; Sparring glove & Fight glove. 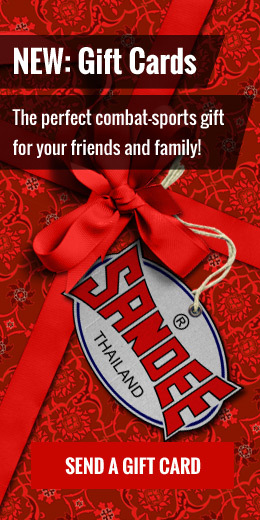 Both styles are leather and handcrafted in Thailand & therefore very durable. Sparring gloves are used in training and are more cushioned in their construction for protection when sparring. 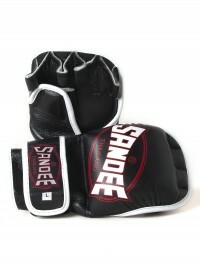 The SANDEE MMA sparring glove also has additional padding on the thumb for additional safety & comfort. 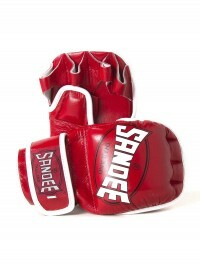 SANDEE sparring gloves are available in 2 colours, red & black and in small, medium, large & extra-large sizes. MMA Fight gloves are fingerless leather padded gloves which enables athletes to grapple & wrestle more effectively inside the octagon. SANDEE MMA fight glove has an open thumb & open palm design in line with all major MMA promotion’s competition specifications. 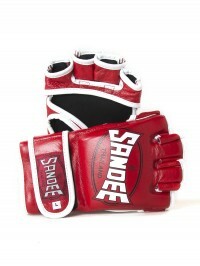 SANDEE MMA fight gloves are available in 2 colours, red & black and in small, medium, large & extra-large sizes. 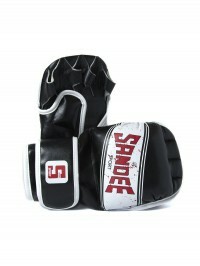 Sandee Sport Black & White Synthetic Leather MMA Sparrin..